Olena Zaitseva, the driver who recently killed six people in the road accident, was brought to the crime scene for the investigative experiment in this case. The law enforcers recreated the details of the bloody tragedy, which occurred in Kharkiv on October 18. Back then, two SUVs crashed into each other at a crossroad. 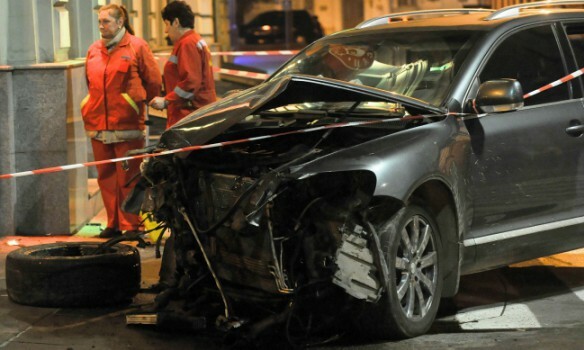 20-year-old Zaitseva who drove Lexus hit the crowd, killing five people instantly. One more victim died later in the hospital. The defendant was placed in detention for two months, until mid-December.